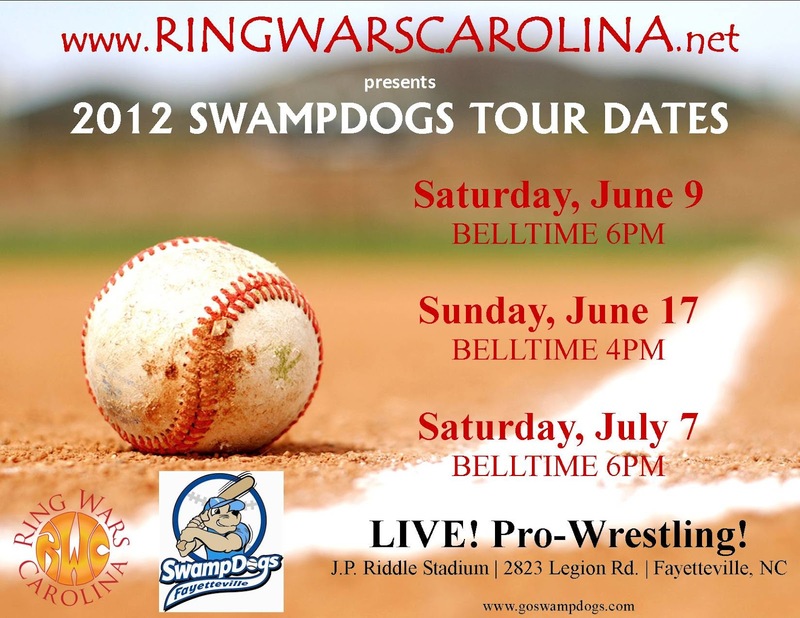 Ring Wars Carolina will be making it's final stop on the 2012 Swampdogs Tour this Saturday, July 7th. Belltime is set for 6pm. Come out and enjoy some wrestling, and some Swampdogs baseball!